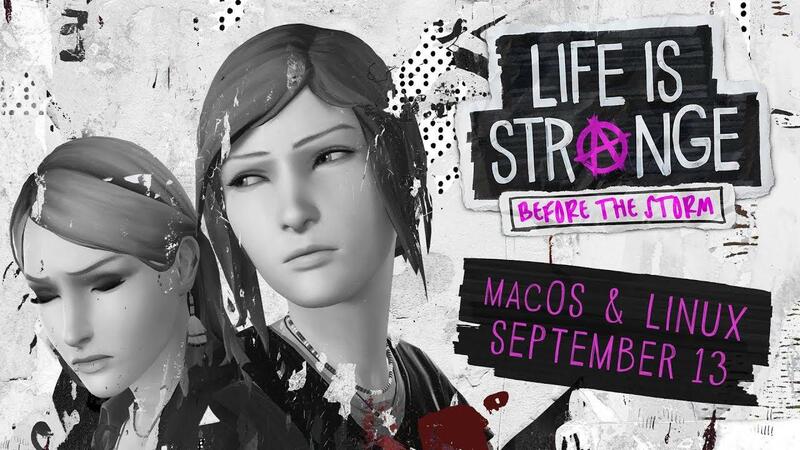 Feral Interactive's latest Linux port, Life is Strange: Before the Storm the prequel to the original Life is Strange is set to release for Linux on September 13th. AMD GPUs require Mesa driver 18.1.6, Nvidia cards require driver 396.54 or better. No word yet on if it's OpenGL or Vulkan, will update when we know. Update: It's using OpenGL, not Vulkan. Those who wish to support Feral Interactive's porting efforts, can pick up a copy from the Feral Store. Alternatively, Humble Store and Steam. Only one week to go! I very much enjoyed the original and Feral's port ran really quite nicely so I'm very hopeful for another good experience. As a reminder, Feral also have a teaser for another Linux port they haven't yet revealed the name of as well as Total War: WARHAMMER II. If Feral mentioned AMD R9 270 in the minimal requirements, that possibly means that OpenGL is at least an option. They usually don't test Vulkan-only games on these old cards. I think I have a crush with Feral... I promised myself to buy this one on Steam (you know, to save some money due to country economical problems) but they deserve my effort. Sorry government, I have to pay the highest price for Feral games (love is love). Flabb If Feral mentioned AMD R9 270 in the minimal requirements, that possibly means that OpenGL is at least an option. They usually don't test Vulkan-only games on these old cards. If the users activates AMDGPU for GCN 1.0 & 1.1, they should be able to run Vulkan games with that card. x_wing If the users activates AMDGPU for GCN 1.0 & 1.1, they should be able to run Vulkan games with that card. I know, that's what I was doing when I used Ubuntu (on Solus it's enabled by default). I meant that Feral usually don't officially support these cards in their Vulkan games (probably due to this exact reason), but these games are working good on my 280X nevertheless. Edit: see the clarification in the next comment. We do test Vulkan games on them, we just don't officially support them because it requires you to manually switch over to the amdgpu kernel module and support for the older cards there is still considered experimental. No Linux problem but I'm wondering if such games still run under MacOS after Apple completely stops support for OpenGL? It is already discontinued and only a question of time until OpenGL is completely omitted. liamdawe Update: OpenGL, not Vulkan. Pretty sure that's why it was delayed. They were probably planning to use Vulkan at first but ran into problems becouse the game requires stream output support which cannot be implemented properly on Vulkan yet. If thats the case then they basically had two choises: Either wait for Khronos to develop a suitable Vulkan extension, or fall back on OpenGL. Looks like they went with the latter. Maybe they initially did plan the former but changed their mind when Proton was released since the game works with PROTON_USE_WINED3D11=1 %command%. Then again, this is just speculation on my part so I could be wrong. Do we know for sure that macOS version doesn't use Metal though? The answer above might have been specifically for the Linux-version. From what I found this is only the case with DXVK specifically which is not something Feral uses, they have their own D3D implementation. Also, Unity3D already has native Linux support (and Vulkan too, but I'm not sure if it's stable/usable as of now) so I doubt Feral re-ported the engine using their own technology, it doesn't make sense. Most probably it was a middleware issue that took them this long to solve. Whatever the cause, I'm happy the game releases next week! Ready to visit the Feral store once again despite the economic situation in Russia right now.